Ever since Super Mario Run was announced alongside the iPhone 7 as an early exclusive for iOS, expectations have been building on how Nintendo's first big foray into mobile gaming would go, how Mario-style gaming would be adapted to mobile, and also how it would compare to mobile phenomenon Pokémon Go. Nintendo has long been criticized for not leveraging its strong franchises in mobile gaming platforms. Pokémon Go which was only indirectly related to Nintendo's own efforts was a massive overnight success. Super Mario Run landed less than a week ago, receiving over 40 million downloads so far on Apple's App Store. It's currently the top ranked app and the top grossing app in the store -- it's also being heavily promoted by Apple. Personally, I was skeptic about a Mario game where your character never stopped moving, but after playing it for a few hours, I can say it's a really enjoyable game and refreshingly Mario, not unlike what you experience when playing on a Wii console. Considering these positive early impressions, along with the dozen or so reviewers who got early access and seemed to be equally impressed, I was surprised to see very low ratings on the App Store. Currently user reviews sit at 2.5 out of 5 stars from 55,000+ reviews. As it turns out, thousands of 1-star reviews -- as many as half of all the reviews -- come from disappointed gamers who weren't expecting a paywall after so little gameplay. I knew upfront Super Mario Run was going to cost me $9.99. The game is downloaded for free, and that lets you play the first few levels, but after that you have to pay. It's not an ideal system, but I was fully aware of it, and I wanted to buy the game anyway. Considering I have paid for the game once, but it's also playable on my kids' iPads, I see some value on my $10. But the criticism goes further. Nintendo's stock price has taken a dive based on that negative feedback and financial analysts are not overly optimistic that the game will contribute enough to Nintendo's bottom line. Forbes is calling Mario's $10 price point "a mistake." The screenshot above was taken from Nintendo's official Super Mario Run website. The reason is that Super Mario Run is a pay-once, unlock the full game affair. In contrast, Pokémon Go or Candy Crush before it, are downloaded for free, played for free, but were built from the ground up to promote in-game purchases that can generate millions. According to SensorTower, Pokémon Go reached a monumental $600 million in revenue after only 90 days of becoming available, while another super popular mobile title, Clash of Clans is said to produce as much as $1 billion a year on freemium in-game offerings alone. That is the kind of benchmark many are putting Mario against. According to the Wall Street Journal, Nintendo has said it doesn't plan to offer any DLC for Super Mario Run. I won't judge that decision which ultimately could change. The way the game has been built I believe lets itself be extended in some form without getting into worrisome "pay now and pay again later" territory. If Nintendo sticks to this decision however, I'm sure that will be by design, as a way to prioritize the franchise's brand value and their own console plans. Evidently there is a clash between the myriad of free to play games available on mobile -- most of which are not really free -- and the upfront cost of a game you would normally buy for the Wii U, Xbox or PlayStation console. At $10 Super Mario Run's price seems justified, but maybe this information was not disclosed properly and Nintendo will have learned the hard way. As GameSpot points out, since its announcement Super Mario Run has received an unprecedented level of promotion on the App Store. It's also the first time Apple allowed users to be notified when an app becomes available. With Android users out of the loop until an undisclosed date in the future (which could represent a sizable boost in revenues), it may be safe to assume Apple paid Nintendo handsomely for the privilege of getting Mario for their users exclusively and only on their mobile platform. 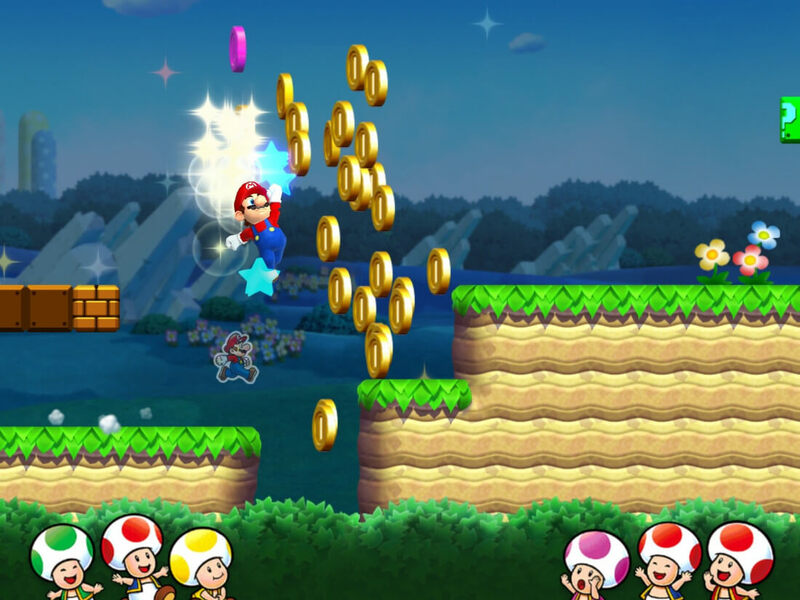 With a few more days to go before Super Mario Run hits its first week of availability, mobile app trackers are estimating somewhere between $5 to $10 million in revenue for this initial period. The question analysts are asking themselves is what happens after that? As a casual mobile gamer, I have to ask instead, what would have been the better alternative? Paying before downloading seems even worse as you wouldn't be able to at least try some of the game before paying (I was skeptical before trying it). Paying $10 or nothing at all only to be inundated with ads, pop ups or reminders of how I can pay a little bit of money to progress my game, is just horrible. If I'm paying for something, I simply do not want to be gamed into spending more. As it stands, Super Mario Run is an entertaining and polished mobile game. The mechanics are near to perfect and game mode "Toad Rally" that lets you compete against other players asynchronously adds to the fun and the time you'll be able to dedicate to the title before you move on to something else. And for my $10, I'm good with that decision.